We are just about to the time of the year when we start thinking about the photo that will appear on our family holiday cards. Some of you have already booked a photography session for a perfect family photo. If you’re like me, you haven’t. Instead you just looked up at your calendar and realized it’s September and you better start planning for the fast approaching holiday season. In addition to making arrangements to take a family photo, I’m thinking about what I should wear. Luckily Shabby Apple just shared their list top selling dresses. 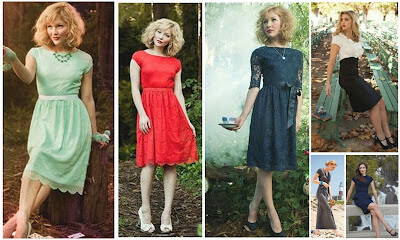 With my search for a holiday photo outfit in mind, I could see myself wearing any of the gorgeous dresses on the list. Lets see what their shoppers have loved the most this year. I love the Alice dress! The color is so pretty but my favorite part of this dress is that it looks so comfortable. It just might be making an appearance in our family photos this year. If you adore any of these dresses as much as I do, it’s your lucky day! Through tomorrow, September 14, you can save 10% at Shabby Apple using code “favorite10”. They have so many other beautiful dresses, blouses, and accessories too. Do you already have your family photos planned? Where do you go for color and clothing inspiration?